My first layout of the new year features my aunt and uncle at my grandparents’ birthday party from 2012. It is based on several challenges, including a sketch! This layout is also my example for the January 2014 Fashion Challenge at ACOT that I host each month. This month, scarves are in fashion, and not just ordinary scarves. But scarves with fun details – polka dots, ribbon, sequins, etc. And you have to have at least 3 layers. There are more details about the challenge over at A Cherry On Top. 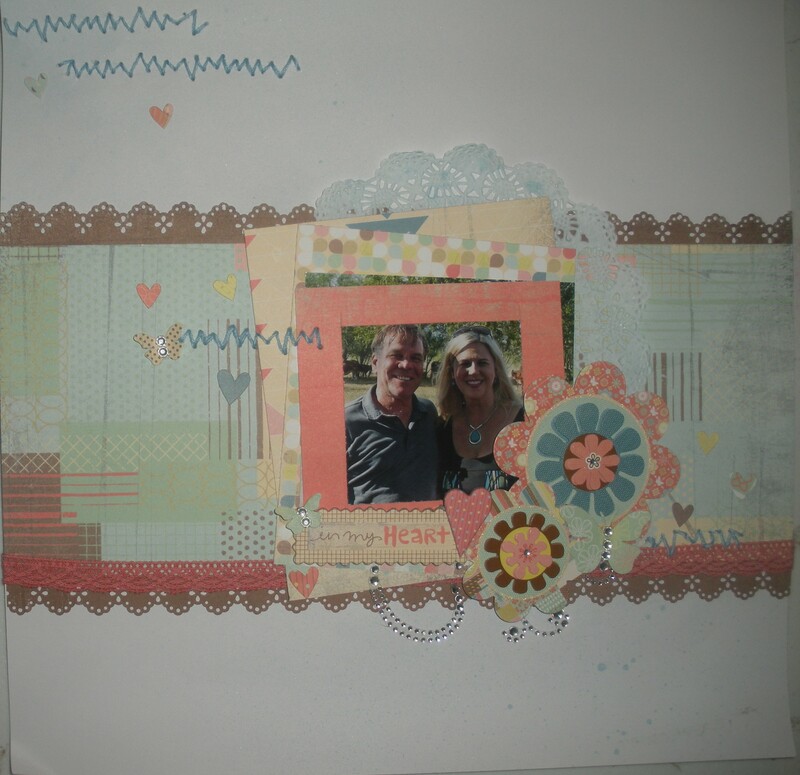 I used mostly Basic Grey “Hopscotch” products – papers, chipboard, 3D stickers – which I thought was perfect with this happy photo of my aunt and uncle. The mist is by Tattered Angels; border punch is Martha Stewart; ribbon is Pink Paislee and the doily and bling are from my stash. Brandy it’s Stunning!!!!!!! Your interpretation of the Sketch is gorgeous!! Great job with the sketch. Love all the layering! Way to rock it with so many challenges. wonderful page and love the added flowers!!! thanks for playing along with LGS!!! Gorgeous layout, love your layers. Thanks for playing along with us at LGS! Beautiful LO! Thanks for joining us @ LGS. I love the Basic Grey line! Awesome job using the sketch and your product choices. Very pretty. Thanks for playing along with us at Let’s Get Sketchy in the new year! really cute layout, thanks for joining us at lgs! 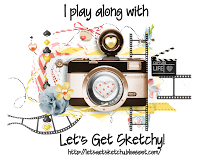 Your first layout of the new year is just so gorgeous, love those fresh spring like colours! Thanks for joining us at LGS! Beautiful page! Love the layers and colors. Thanks for joining us at LGS. Such a pretty Lo! Great Job with the challenge, Thank you so much for sharing with us at LGS! So sweet and pretty…thanks for joining us at LGS!!! Beautiful page! Thank you for joining us at Lets Get Sketchy! 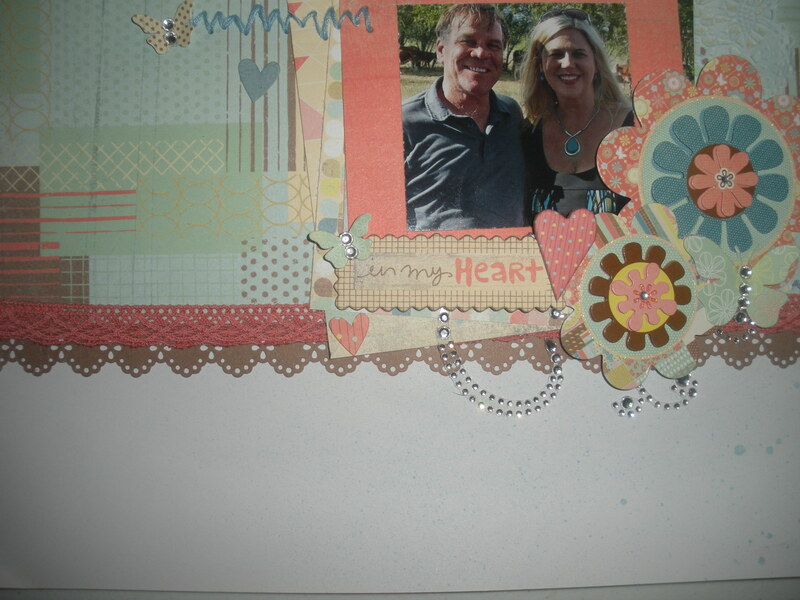 Beautiful layout Brandy with all the layering and punch work and gorgeous details! Great page! Love the punched borders and doily! 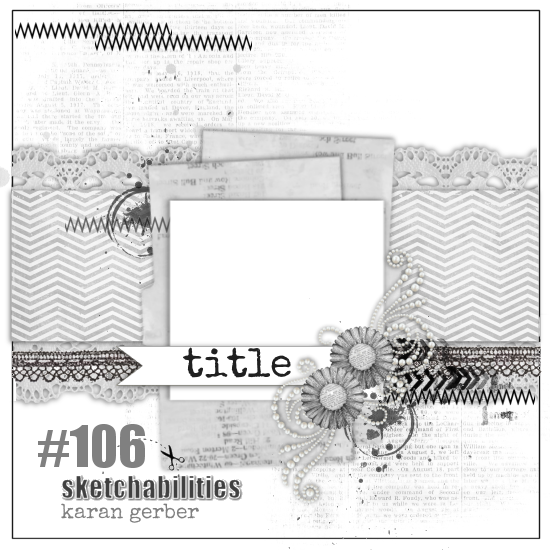 Thanks for playing along with sketch #106 at sketchabilities!